Join Our Inner Circle Today! My goal at VRMB is to provide the insight you need to make educated vacation rental decisions. I try to do this using fun, optimism, and a serious dose of accountability. And I hope this has a positive impact on your business! I would like to solicit your complaints about VRMB and constructive criticism of my work. Your feedback will serve as the raw materials for making VRMB and our industry a better place. I will read and respond to every single observation. No message is too soft or severe. Simply hit "Reply" and share what you've wanted to say. I decided to do this exercise after reading a book called Hug Your Haters, How To Embrace Complaints and Keep Your Customers by Jay Baer. In it, I learned about a woman named Erin Pepper who, upon becoming the Director of Customer Experience at Le Pain Quotidien (a bistro chain based in Brussels), announced that her goal was to "triple the amount of guest complaints." This may sound crazy -- a restaurant chain wanting to increase their customer complaints? -- but the theory is that praise, while good, doesn't help us improve nearly as much as complaints do. In many ways, the more complaints we receive, the more "raw material" we have to work with and the more we can grow. So I'm sitting there in my chair after sending the email and almost immediately, the replies started rolling in. At the time of writing this, I have received 82 emails (many of which have multiple complaints). And I wanted to share with you my biggest takeaways from this slightly terrifying exercise, then encourage you to try some version of it yourself. The process of asking for customer complaints is not easy because you make yourself vulnerable and open yourself up to harsh realities. Plus, your business is your baby and it's hard not to take complaints personally or get defensive. But after this experience, I am more confident than ever before that constructive criticism like this can be the stepping-stone we all need to grow. In very rare cases will someone who doesn't truly care about the impact of their advice write you a long negative review. Why? Because if they don't care, they won't waste their time. Which means that most elaborate negative feedback is coming from a good place and it's most likely not a crazy unfounded rant. A long message doesn't mean that the complaint is necessarily right, but it means that the individual cares enough to share their thoughts and that deserves respect. Your a parasite, you have crappy ideas. You don't have any idea what your talking about. I suggest you try a different career. Like maybe your own vacation homes, instead of trying to leech off the owners you are pretending to help. 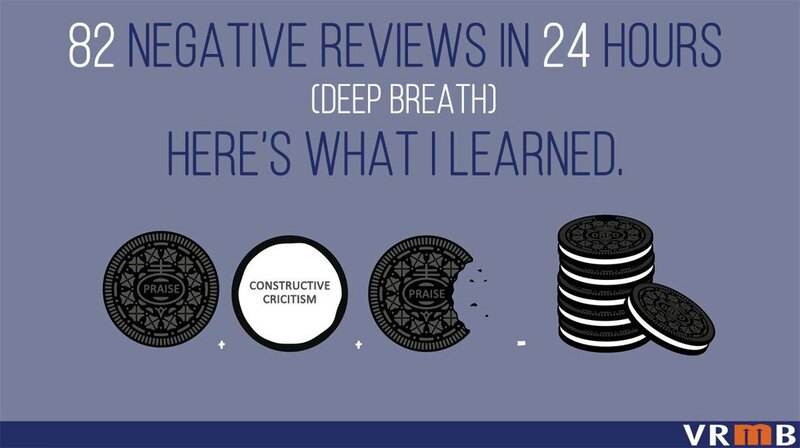 If you have received negative feedback at your rentals, read this post about a hilarious company that prints their worst complaints on t-shirts or this post one about how to best handle negative guest reviews on listing sites. 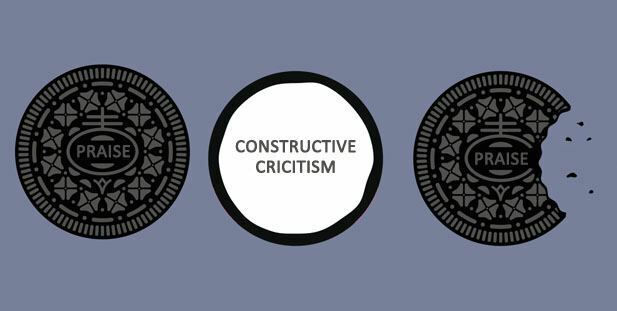 One-off complaints can be helpful, but if one particular bit of criticism is repeated by multiple people, there should be extra effort to take it seriously. Example: in the 82 emails I received, 11 of them mentioned feedback surrounding video: how not everyone liked video, had time to watch video...etc. This does not mean you have to change your entire strategy (like totally stop doing video). But it is simply not something we can ignore -- in fact, it very likely has merit. For my videos, this could mean investing in transcription services and bullet lists as complimentary learning materials. Oh, and this theory isn't just about complaints. It can be for positive feedback too. For instance, at my rentals, when they arrive guests often say "the pictures don't do this place justice." If you hear this enough times, chances are, well, you need better pictures! When you receive a negative bit of feedback, the easy thing to do is ignore it...but don't. Some years ago, a major retail marketing study revealed that clients with a complaint that gets satisfactorily resolved is actually more likely to become loyal than the client who never had feedback at all. So first, be sure to respond: answering that complaint is obligatory. But when it comes to actually addressing the problem, don't respond with diplomatic copy/paste: try to repeat the complaint back in your own words so that you empathize with it. Starting off with "OK, I just want to repeat this back to you so I understand it clearly" will help you clarify the actual complaint (which can sometimes be emotionally loaded or not entirely clear). The complaint sandwich disarms with praise, opens up for honest feedback, then reaffirms the positive (so not to end on a sour note). I will start using the complaint sandwich for all my constructive criticisms in life from now on. And guests who send complaints in the form of sandwiches will become prominent people in my feedback loop. My soft takeaway is that complaints can make us better vacation rental businesses. My strong takeaway is that we cannot become better vacation rental businesses without complaints. This was a tough exercise but I can confidently say, to anyone who is thinking about implementing it with their own business (but have not had the nerve to do so yet) that it has a tremendous sobering and grounding effect, allowing us to re-calibrate our work and keep the clients that we care about without losing focus. I also think it's only a matter of time -- with the increase of review sites and social media -- before all of us have to embrace this approach whether we like the idea or not. What’s Your Plan If HomeAway Disappears Tomorrow?